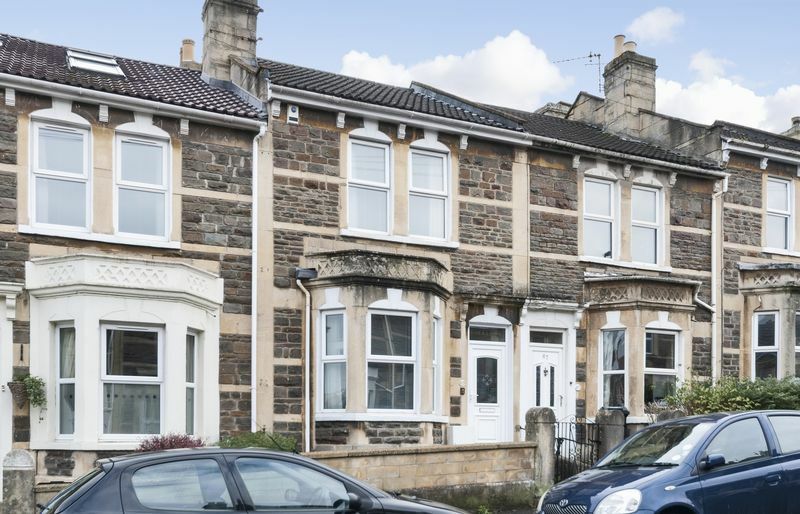 Period Mid Terraced Two Double Bedroom Family Home Boasting Generous Accommodation with Modern Kitchen and Bathroom, Garden and Ample Off Street Parking Presented in Good Order Throughout. 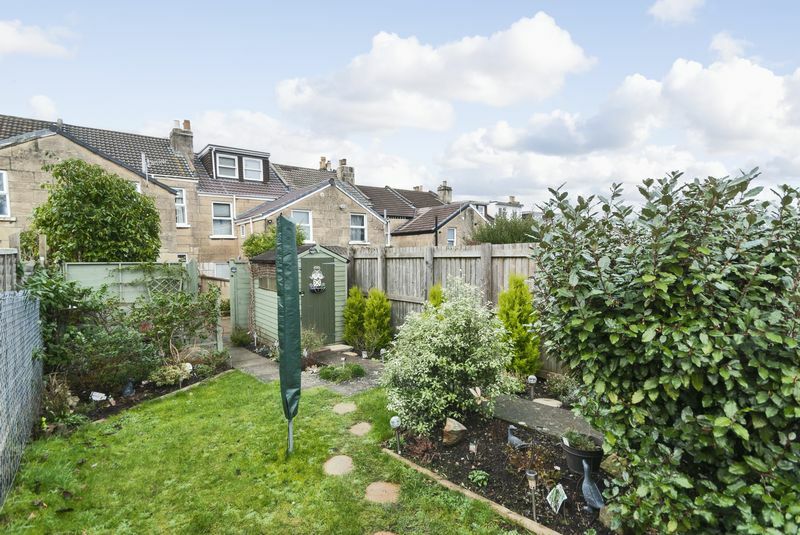 Coronation Avenue is conveniently located towards the top of Oldfield Park. Moorland Road, a thriving shopping area, is close by and offers an excellent selection of shops. Regular bus services run to and from town, and the local Oldfield Park Station is within walking distance. The Two Tunnels Sustrans cycle network is within a mile. There are several good local schools to choose from, such as Moorlands, St John’s Primary, Oldfield Junior School, Hayesfield and Beechen Cliff Senior Schools. 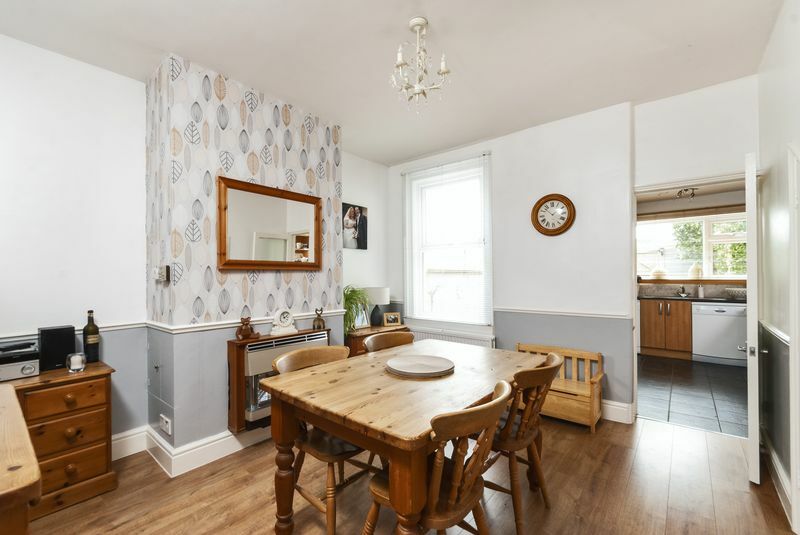 This generous sized home will certainly appeal to all, comprising sitting room, dining room and modern fitted Kitchen on the ground floor. 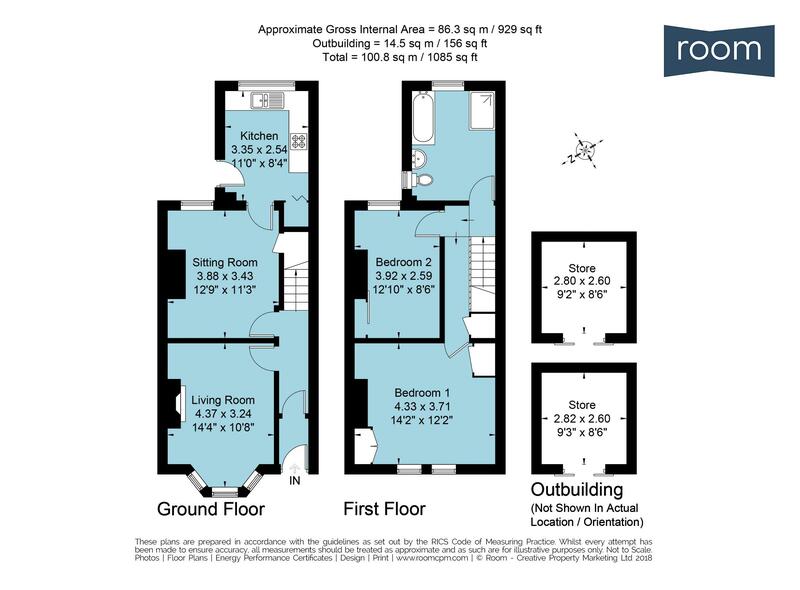 Upstairs there are two bedrooms and a large bathroom with separate shower cubicle on the first floor. A door leads from the kitchen to a low maintenance patio area which is perfect for al-fresco dining, with lawn beyond. 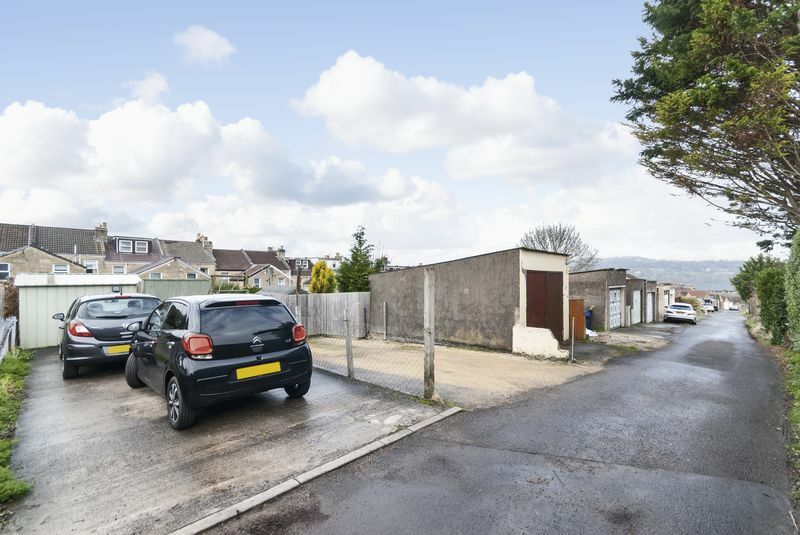 Additionally, there is an abundance of off street parking situated at the end of the garden. 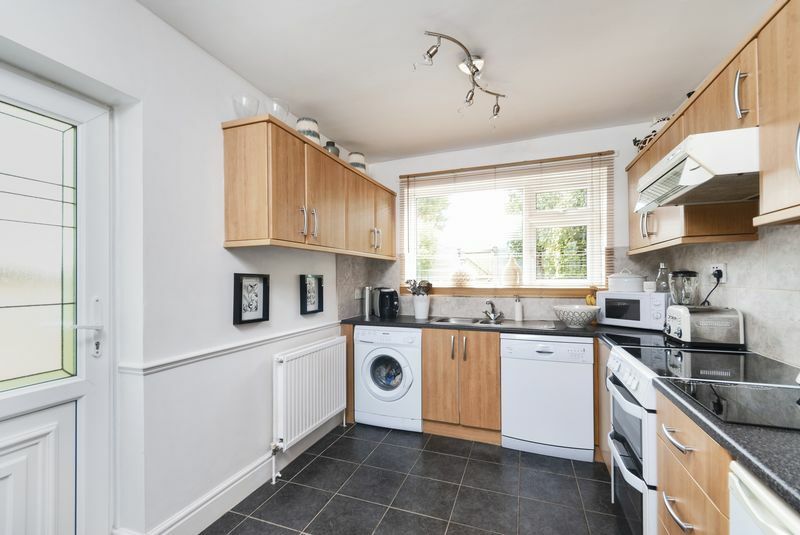 The property has been well maintained including double glazing and gas fired central heating whilst retaining character features. A real gem that needs to be viewed. 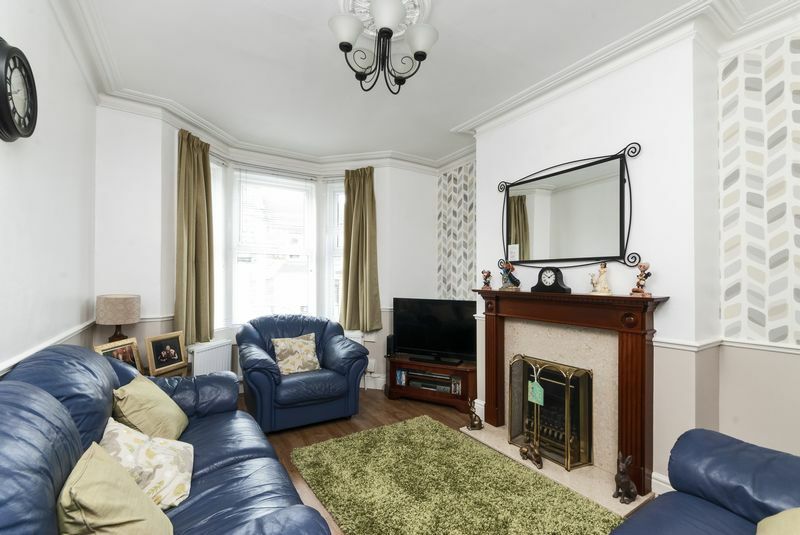 Double glazed bay window to the front, ornate ceiling cornice, dado rail, feature fireplace with marble style hearth with wooden surround and inset gas fire, three radiators, television point and Virgin Media internet connection point. Double glazed window, under stairs storage, laminate flooring, gas fire with back boiler, radiator. Double glazed window, modern fitted kitchen with a range of base units & wall units, space for under counter fridge, edged worktops, space for free standing cooker with electric and gas connections points available, plumbing for washing machine and dishwasher, one and a half bowl stainless steel sink with mixer tap, ceramic tiled floor, Norte 4 spot light unit, under stair cupboard with space to house a freezer, double radiator, double glazed door to outside. Access to loft space, built-in cupboard/airing cupboard housing the hot water tank, dado rail. 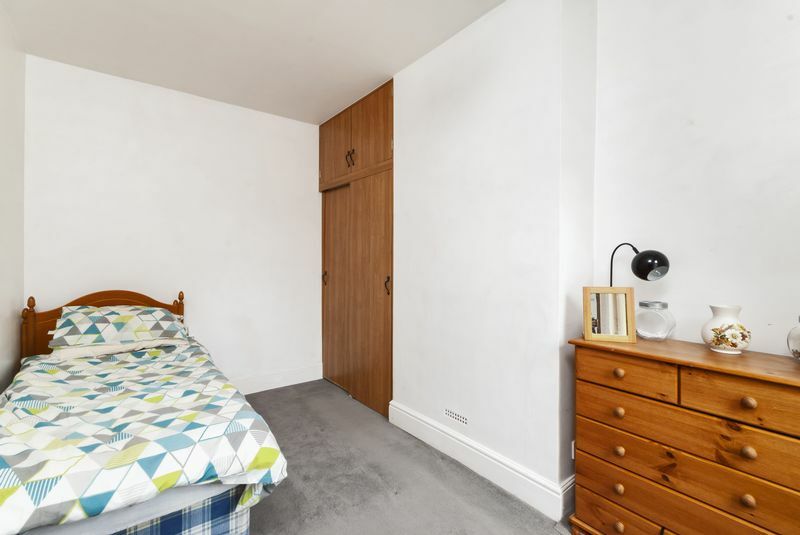 Two double glazed windows to front, cast iron fireplace, two radiators, double built-in wardrobe with cupboard above, single built-in cupboard. 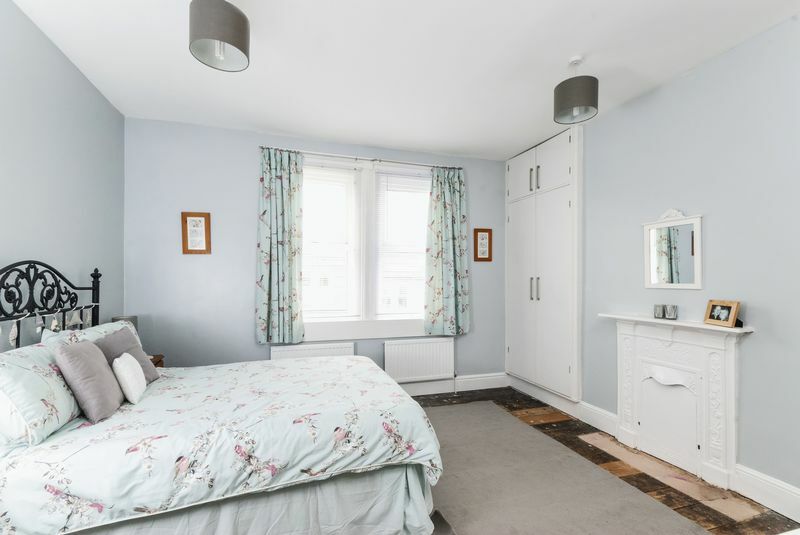 Double glazed window to rear, radiator, double built-in wardrobe with cupboards above. 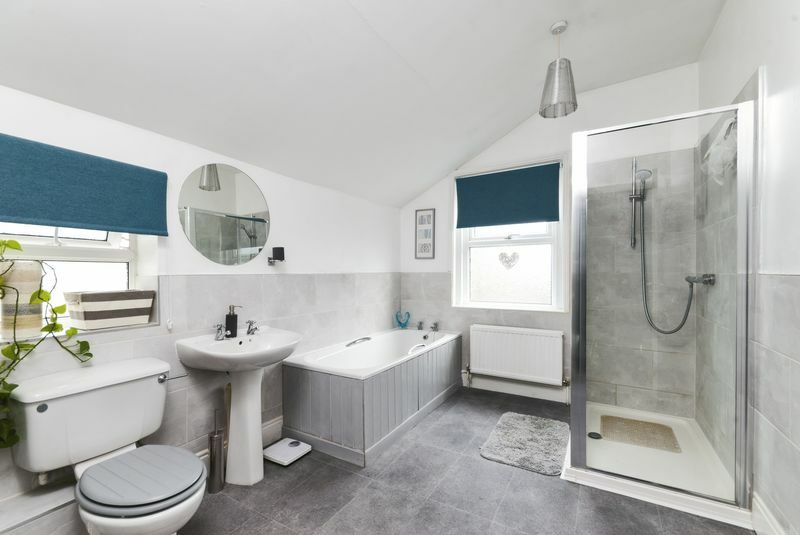 Newly decorated with new large wall tiles, lino flooring, shower cubicle and shower fittings, modern paneled bath with tiled surround, large walk-in shower cubicle with shower head over, pedestal wash hand basin with tiled splash back, low level WC, double glazed window to rear. To the front is an enclosed garden with path leading to the front door. 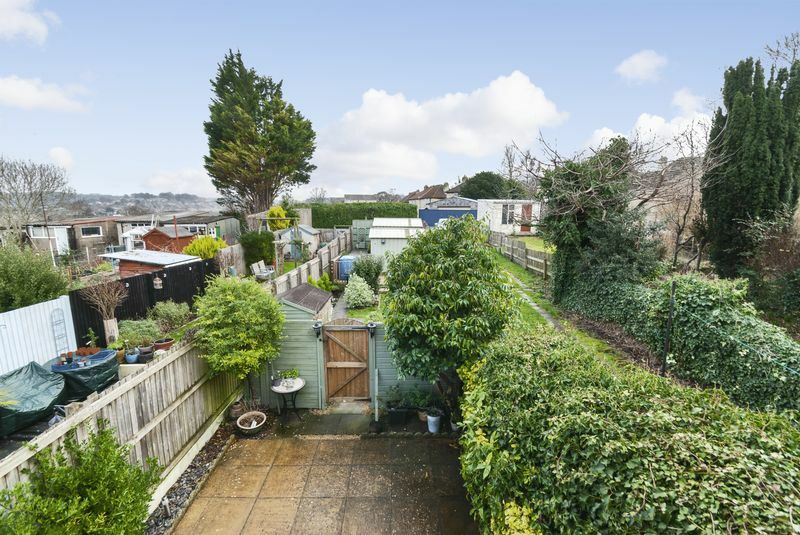 To the rear is a private enclosed courtyard patio with gate leading to the further garden area with lawn, borders, established shrubs including a bay tree plus a very useful shed. Beyond is a decked area with further storage and rear pedestrian access. Off Street Parking: There is off street parking to the rear approached via a rear lane.